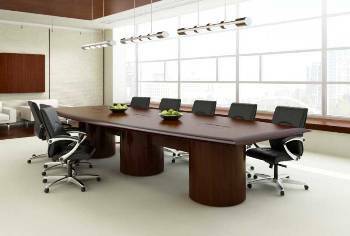 Our conference room furniture provides a professional and open look. Conference furniture facilitates important meetings and strategy sessions. Can’t figure out how this furniture will look in your conference room? We can design the layout of your conference furniture. Provide us with a layout. We have high quality chairs, tables and other conference furniture. Contact us with your needs today. 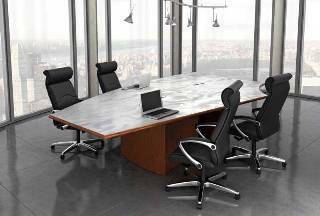 Outdated and old conference furniture can make for a poor first impression for your company. Upgrade your office interior with new conference furniture. We supply new office furniture for small and large businesses. New entrepreneurs and business owners like the affordability and style of our new conference furniture. New conference furniture shows clients you’re headed for success. Get chairs and tables with attractive laminates, veneers and brushed metals. Call us today and ask us about our stylish conference furniture. Starting a new business isn’t easy or cheap. Have a shoe string budget for office furniture? We have pre-owned conference furniture to get you started. Our pre-owned conference furniture is affordable and useful. You’ll be able to hold training sessions and meetings comfortably for your small or large team. Start saving money with our pre-owned conference furniture.